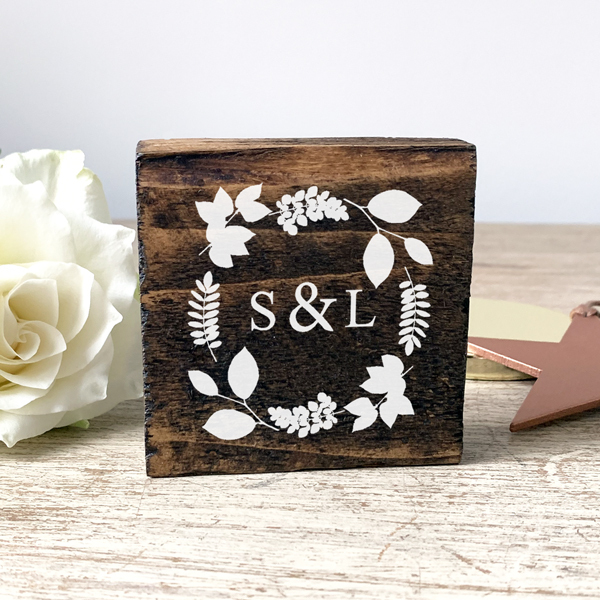 Made from dark waxed reclaimed wood, this Personalised Valentines Love Token Keepsake lets the one you love know just how much you mean to them. A keepsake that will be treasured for years to come. 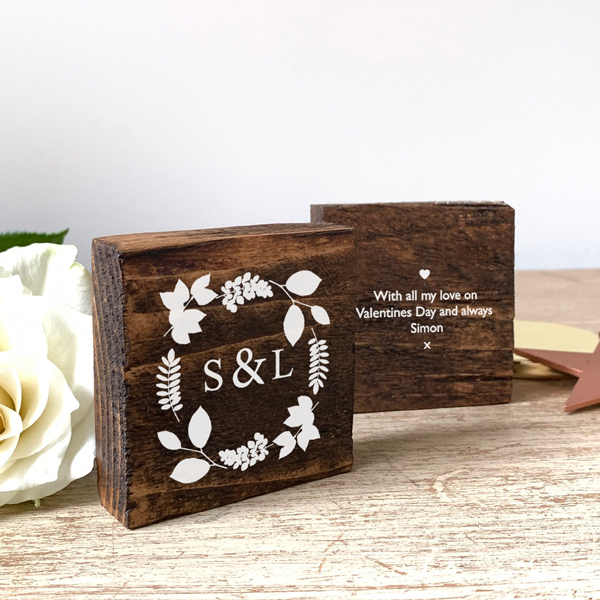 Individually made from reclaimed wood, our Personalised Valentines Love Token Keepsake makes a thoughtful little keepsake gift for the one you love. The wood is cut and waxed with a rich dark brown wax to enhance the natural beauty of the wood. 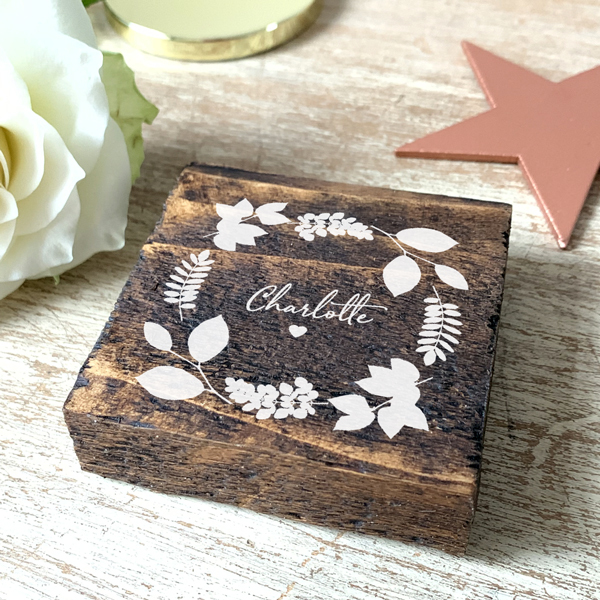 On to this we print our pretty design which features a floral wreath around your personalisation. We can print a single initial or set of initials with an ampersand between them. 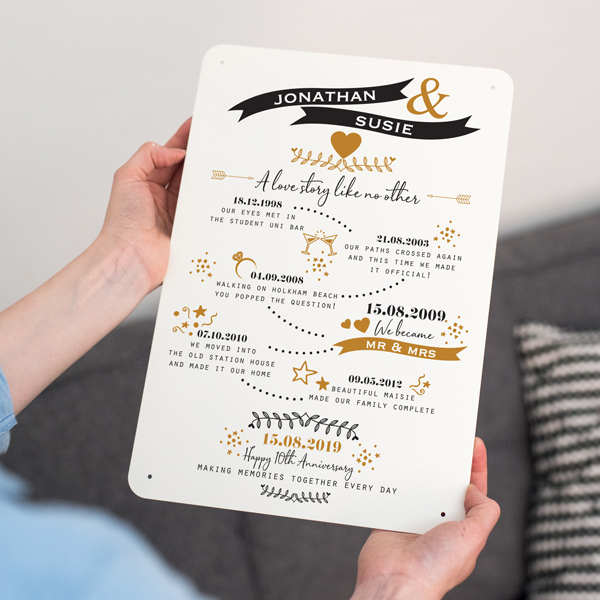 Alternatively we can print a word or short phrase, such as ‘True love’ or ‘Forever’ or a name. Pick a phrase or word that means something special to you and the one you love. 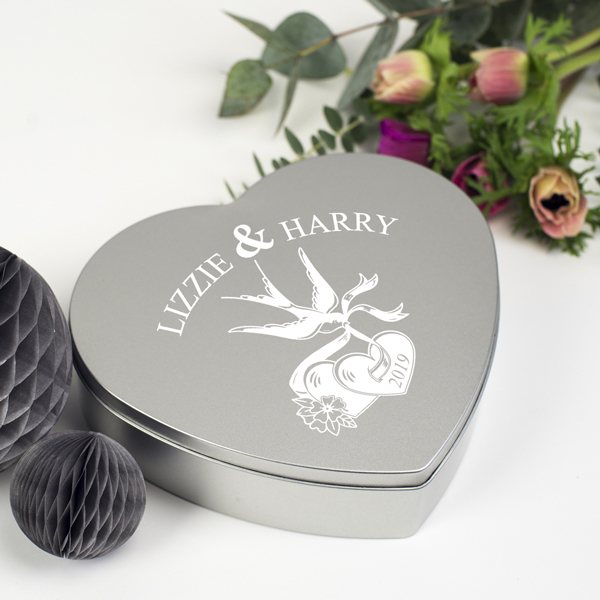 On the back of the keepsake token we add a personalised message from you. Take time to come up with the perfect words to capture the heart of the one you love. Our Personalised Valentines Love Token Keepsake also makes a really thoughtful gift for a special friend – especially someone going through a difficult time. 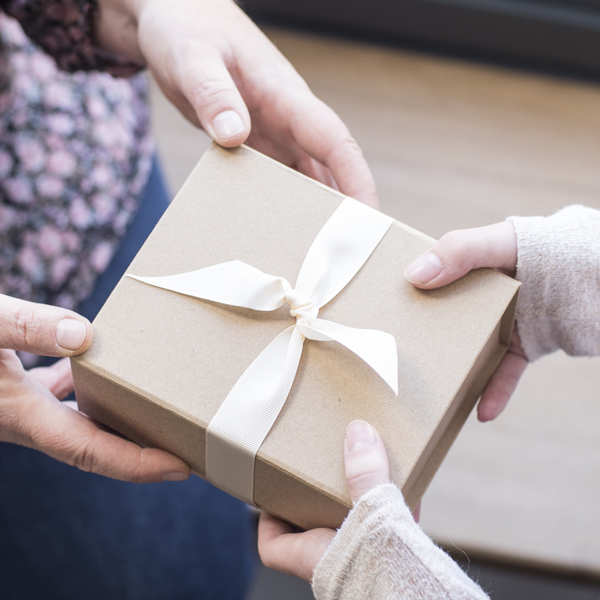 Personalise this love token to let them know how much their friendship means to you and that you are there for them. The keepsake is approximately 70cm x 70cm x 2cm thick. It will stand on end and look beautiful on the dressing table or bookcase. Alternatively it will lay flat, like a coaster, and look great displayed on any flat surface. The reclaimed wood we use is rustic and may have old nail holes and marks from its previous use. 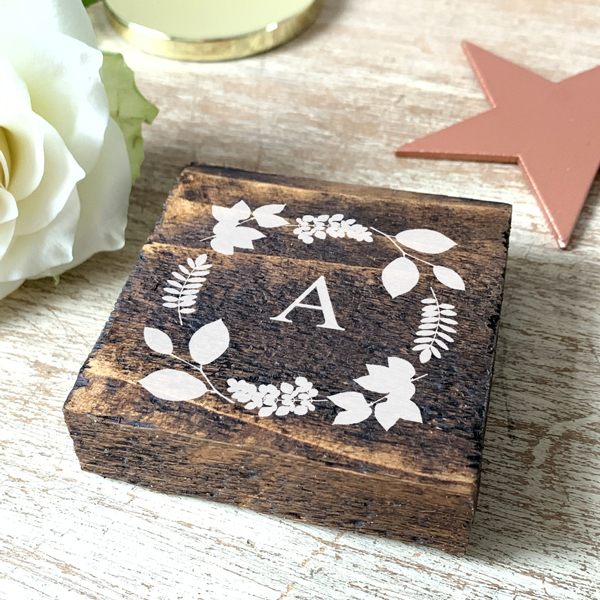 For us, these all add to the individuality and charm of using reclaimed wood, but please be aware that these keepsakes are intentionally rustic.